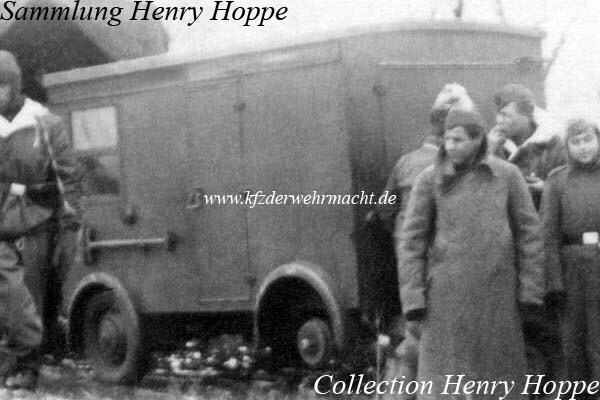 On this photo, a kleiner E-Wagen (Anh. 322/1) serving on the eastern front is visible. 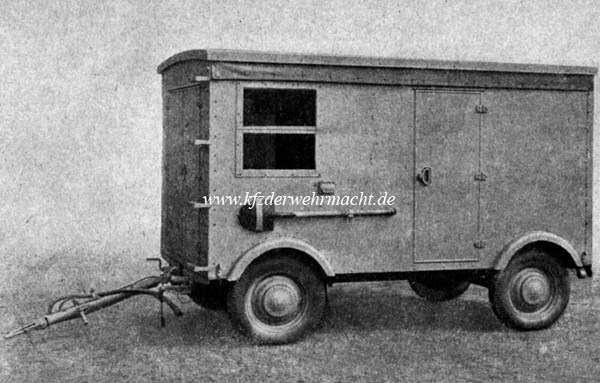 The machine set was propelled by a 2-cylinder, four-stroke petrol engine with an output of about 15 hp, the generator had an output of 6 kVA alternating current 220 V or 3-phase current 220/380 V.